Comet Muse: Looking beyond the Four Walls. With college mates, I'd never thought that my life could turn out to be one full of surprises. A life in which every day comes with a packet full of goodies and a little tinge of adventure. Few months back, I had never thought that college could be so much fun. And such a pessimist belief was bound to enter my mind after having a boring start and it was totally attributed to my so-called 'professional course'. 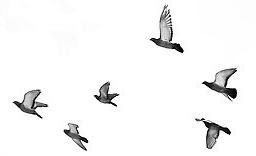 I remember feeling completely out of place amidst the college crowd in the initial days. But, it's not the same anymore. Thankfully! I have settled now. I have found some very good buddies...with whom I feel safe and warm. With whom I don't hesitate to bring out my 'crazy' self (not that I feel shy in front of others....but it's just a way of saying, you know! :P ). Anyway...I should not deviate. 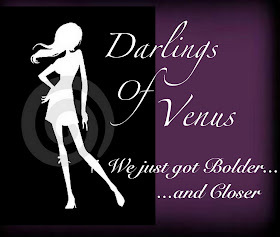 As I have already mentioned in one of the earlier posts how I wish to enjoy my life, I have instilled a slight change. I'll tell you how. Earlier, my schedule was - getting up early, getting in the car, boarding the metro, going to college, and directly heading back home. But now...I get up early...in the car...metro journey...college...and EXPLORE different places and then head back home. And today was no exception! In the morning, I had my History test and believe me friends; Legal History is so not interesting. But somehow the paper went well. :) It was 11 in the morning; we were already through with our test and had the whole day in hand to spend judiciously (And hey, I realize that this professional thing is getting in me now :D ). So Yashi, Divyank, Anuj and I decided to go to Connought Place. More often than not, we all four are contemplative. It’s not possible for any of us to decide something beforehand. We don’t sit down and think of our plan of action. We just do it when it clicks us. Like today, we had no idea why we kept sitting outside the Central Park for like an hour or so. Please mind that the Central Park was closed. 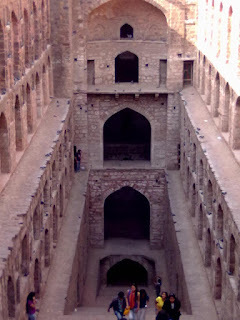 And after spending some really good time outside the closed gates, we all thought of visiting the ‘Ugrasen ki Baoli’. Why? Because we are The Vellas, always free and willing to experience something new...something novel and Ugrasen ki Baoli is a very calm place to visit, especially when you come from a super-duper dusty and noisy area. We unwound ourselves and spent much of our time there sitting and chatting and laughing and enjoying each others’ company. Just when our exploratory mind became restless again, Yashi told us about some ‘haunted building’ nearby. Having nothing else to do, we all immediately stood up in full enthusiasm and headed towards it. The ‘haunted building’ was nothing but a 14-storeyed, under-construction building. Its construction has been seized due to some legal dispute over the same. Sounds very ordinary...isn't it? 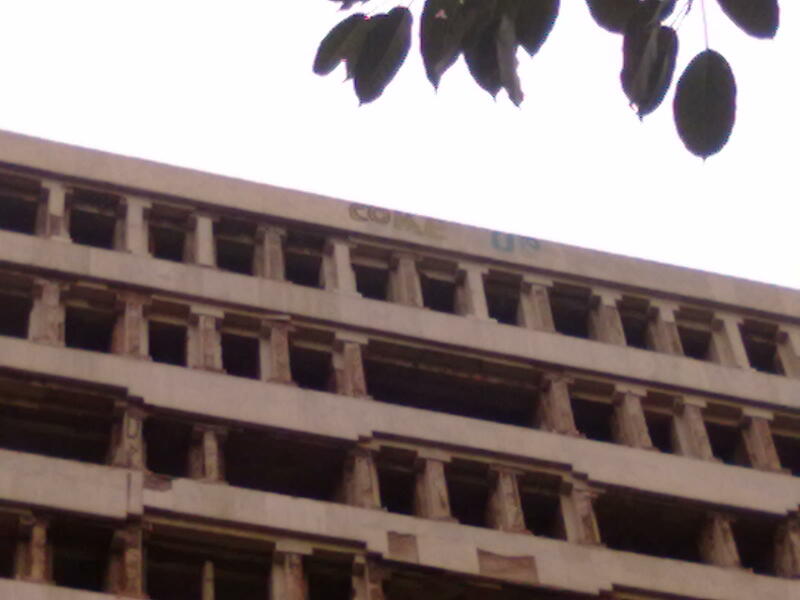 But things become a little spooky when you read ‘COME UP’ scribbled in bold on the wall of the 14th floor and that too in an inexplicable manner. Like an open challenge. And it became spookier when we four went inside the building and sensed something really negative in that place. Yashi and Divyank even had a strong repellent feeling. 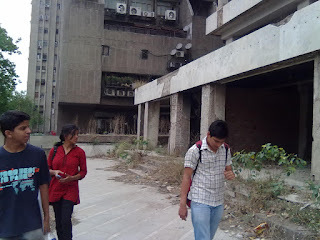 Of course, none of us dared to go to the top floor (marna nahi tha :P ) and I'm sure that it was just our mind, playing games but the whole tempo gave us chills down the spine. Next stop? It was the Cha Bar at the Statesman House...just across the road. I'm seriously in love with this place. 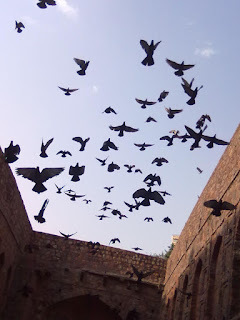 It has been also glued to my list of the most favourite places in Delhi. Tranquil. Positive. Coffee shop. Books. This is how I describe it. I've been here. Agresen ki Bawli.. pretty cool, huh! Try the blue doors of Chandni Chowk. they're amazing.